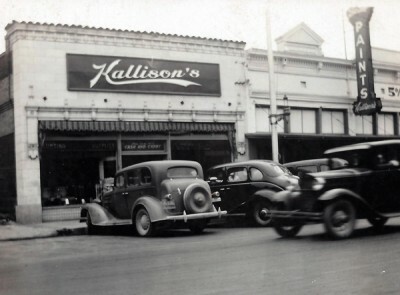 The Kallison’s storefront, seen here in the 1930s, was a fixture in downtown San Antonio. 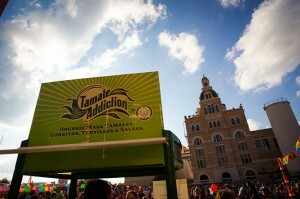 It catered to ranchers and farmers. tz, 81, whose legal name is Nathan Kallison Kotz, won a Pulitzer Prize in 1968 for stories about unsanitary conditions in meat-packing plants. He’s also the author of the 2005 book “Judgment Days: Lyndon Baines Johnson, Martin Luther King Jr., and the Laws that Changed America” and the 1989 book “Wild Blue Yonder: Money, Politics, and the B-1 Bomber.” He and his wife live in Virginia and raise cattle. On Sunday, Kotz will share the podium with author Margaret Talbot on the topic “In Context: Finding Your Place in History.” Talbot has written “The Entertainer: Movies, Magic and My Father’s Twentieth Century.” Her father, Lyle Talbot, was a Hollywood B-movie actor who worked into his 80s. Kotz spent the first 12 years of his life living with his mother, Tibe, in the same house as his grandfather and grandmother, Anna. 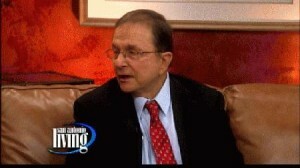 He says he was a smart aleck about history. 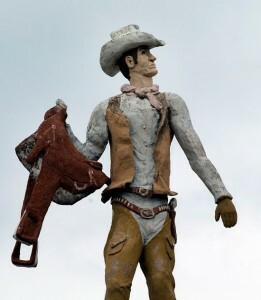 He would tell his family all about Texas history and world wars, never realizing that his grandparents had lived that history. He never asked them about it. Nathan Kallison is shown here in 1927 on his ranch, which has become part of the Government Canyon State Natural Area. 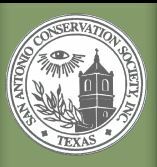 Then former Texas Parks and Wildlife Commissioner Katherine Armstrong suggested that he do a story on Texas ranches, knowing that Kotz had spent time on his grandfather’s ranch, which is now part of Government Canyon State Natural Area, northwest of San Antonio. 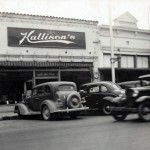 He began some initial research and then wrote to as many Kallisons as he could find for additional family information. He was able to discover which city in what is now the Ukraine his family was from and learned that the last Jews in that town were killed after Nazis invaded. 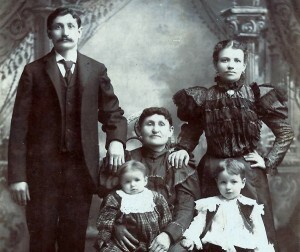 Cousins shared family stories, but Nathan, Anna and their children didn’t keep diaries or business records, and some early family photos weren’t labeled. Kotz learned how much family research could now be done online. “I couldn’t have done the book without it,” he says. 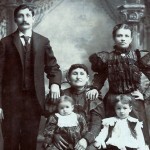 He found his families’ business transactions in Bexar County, and he discovered on newspaperarchives.com that he could find papers that mentioned his family in the early 20th century, including parties the family attended and mentions of the store. He learned about his grandfather’s ability to adapt to industry change as cars and trucks replaced horses. 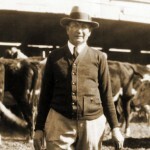 Nathan Kallison foresaw the cotton bust and used research at Texas A&M to grow wheat and flax in addition to raising cattle. Kotz also learned about other family members. Anna was a partner in the running of the store and a firm presence on her four children. Uncle Morris took over the running of the store and like his father bought up buildings downtown in what became the Kallison Block. 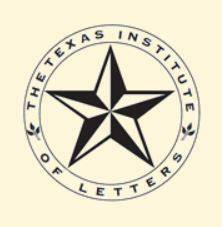 Uncle Perry became a radio personality on KTSA and the voice of Texas ranchers and farmers. His mother became active in social justice projects, and Aunt Pauline also was active in the community. 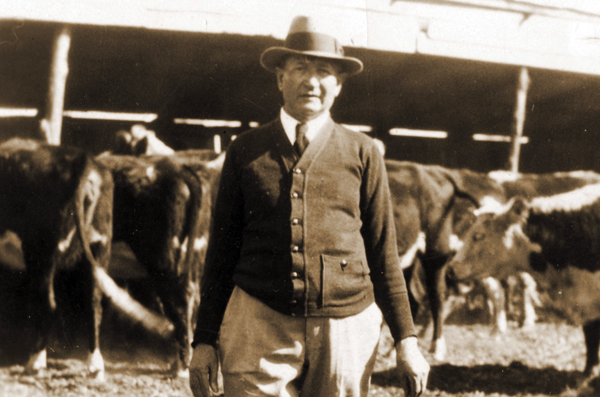 As much as Kotz’s grandfather adapted and changed with the ranching and farming industry, his uncles got caught behind the times. Perry’s beloved Polled Hereford cattle went from the “it” breed to being out-marketed by Angus. 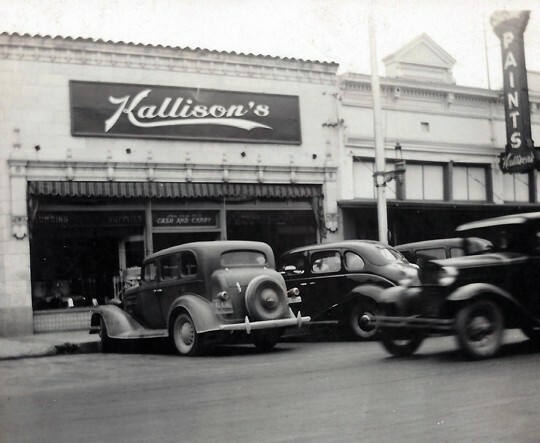 Uncle Morris clung onto the downtown location of Kallison’s while other stores moved to the suburbs. 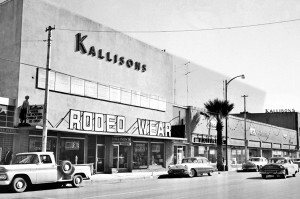 The store eventually closed in 1967 and the cattle sold off that same year.